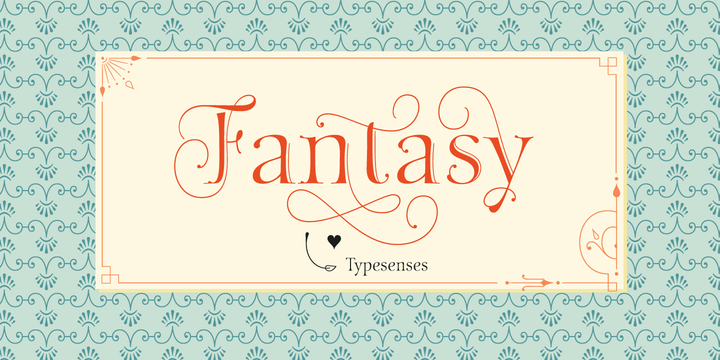 Fantasy is a calligraphic typeface created by Sabrina Mariela Lopez and published by Typesenses. The author belive that “Letters need a touch of Magic” and it was inspired by legend, fantasy. This display font comes with some baggage: Alternates, Ornaments, Frames, Caps and a set of Decorated Lombardic Initials. You can use your imagination for book cover, invitation, wedding, logo, magazine and other magical things. A font description published on Monday, October 20th, 2014 in Fonts, Sabrina Mariela Lopez, Typesenses by Alexandra that has 4,771 views.